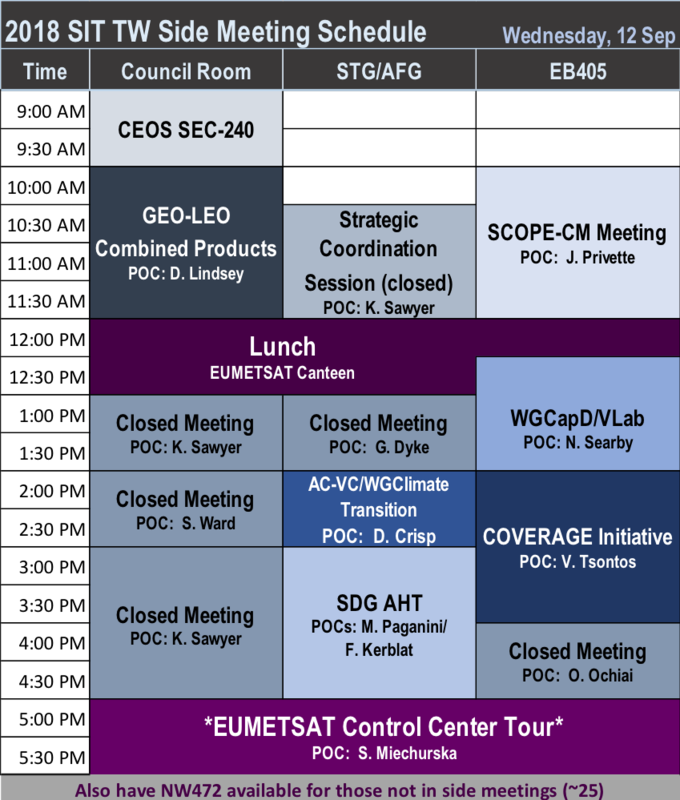 Note: All 2018 SIT Technical Workshop attendees must be formally registered by 24 August 2018 to be granted access to EUMETSAT Headquarters. Sessions: Welcome and Introduction; Climate and Carbon Observations; Data; and, User Engagement Activities. Sessions: Oceans and Freshwater; VC, WG, and AHT Sustainability; Partnerships; and, Work Planning and Close.